Characterized by its fruity, spicy and floral flavours and aromas, the Glen Scotia 18 year old is a wonderfully flavourful single malt. It has been mature primarily in bourbon casks and is bottled at 46% with no chill-filtration or added colouring. Nose: Orchard fruits- particularly pears, but with light woody apples too. Meadows- light, field flowers with cut grass. A little smoke, with some hay and barley, a touch of flint. Some white pepper and salinity, with slight maritime fishiness. Palate: Extremely silky mouthfeel, with slight waxiness and tropical fruits, flowers take the fore, particularly honeysuckle and lilies. Some milkiness and salinity, with spice and lemon curd. Finish: Peppery, long finish, with some succulent fruit. Overall: An extremely interesting malt whisky. 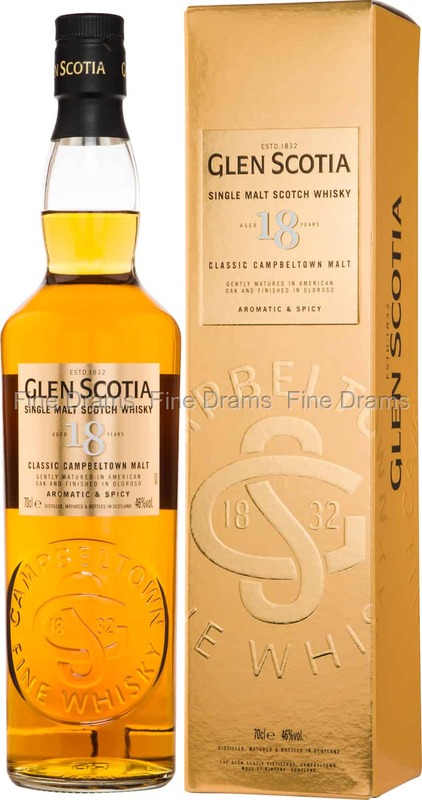 A lot of Campbeltown character, with a really mineralic qualities, but gives way to a beautifully and unexpected fruity palate. A wonderfully surprising and unusual whisky, definitely worth trying.